At the end of our second full day in Dar es Salaam, we’re feeling a bit tired but a lot more confident about achieving our goals! The days have been spent chasing final governmental (COSTECH) clearance to conduct our research (a process we started months ago, but is apparently easiest to finish in person! 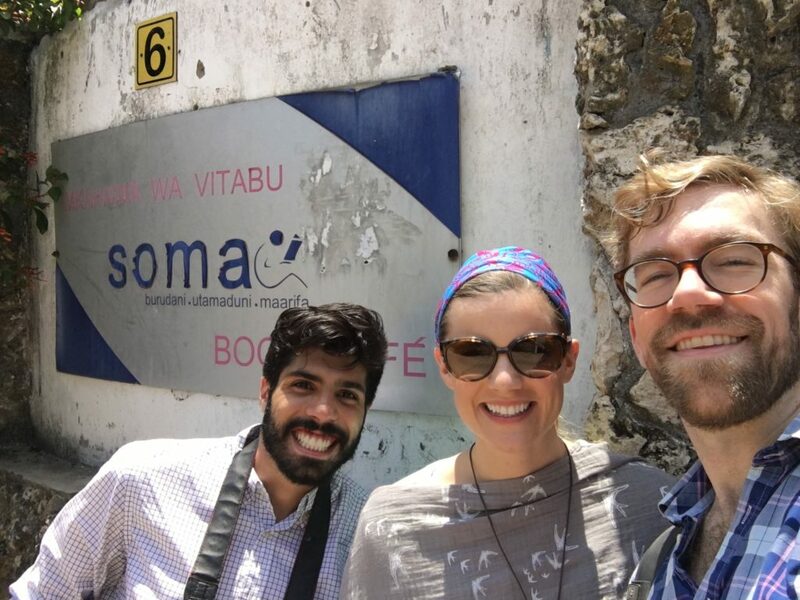 ), meeting Demere’s amazing crew of volunteers at Soma Book Café and E&D Readership and Development Agency, and chasing down our shipment of tablets that have been stuck in customs (and perhaps worse). At night, Hugo and George have made an embarrassing number of fixes (even improvements!) to the suite of educational games, while Kat has found new and creative ways of breaking them (for which we try to be grateful!). On our first day we managed to find Soma Book Café, Demere’s haven of peace and quiet from which she has helped us organize our pilot study so effectively. We are excited to have found her E&D Readership and Development Agency, an NGO that is strongly aligned with our own goals! Volunteers Miu and Claudia will help us administer pre- and post-tests to the 40 children in the pilot so we can evaluate how effective our educational games are at increasing basic literacy and numeracy skills. Twenty children will play with tablets 2 hours each day for a week, while the other twenty children will do other classroom activities. 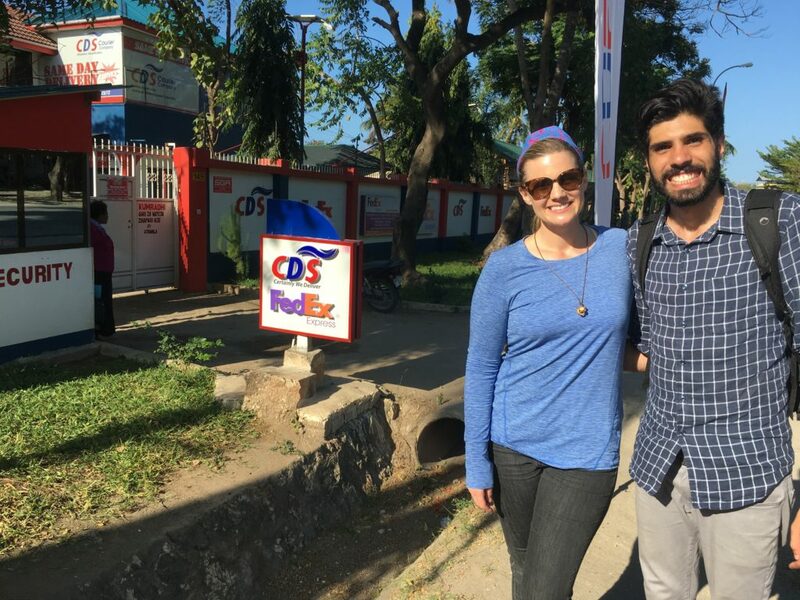 Kat and Hugo are relieved after our visit to the shipping company, where we found out that 7 of our 15 tablets fell out of the box somewhere en route from New York to Dar es Salaam. There is still hope they may be found, but this is also why insurance was invented centuries ago. 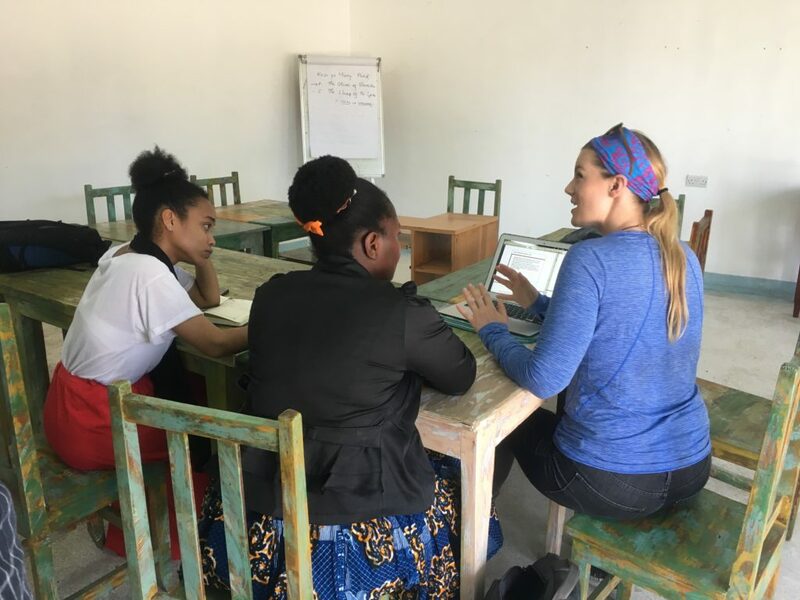 Previous Post Previous Post: egoTeach heads to Tanzania! Great update and photos! Glad you’re arrived and settling in and off to a good start! Wonderful, thanks so much for this good and interesting information!